Proponents sold the Tax Cuts and Jobs Act (TCJA) as a way to spur new investment, increase workers’ paychecks, and reverse the off-shoring of jobs. Testimony presented during a House Ways and Means hearing held today reflected on how—more than a year after the law’s passage—each of those pitches ring hollow. The hearing catalogued both the winners and losers in the wake of the TCJA, while also putting the legislation in the context of an economic system that already privileges the wealthiest Americans. 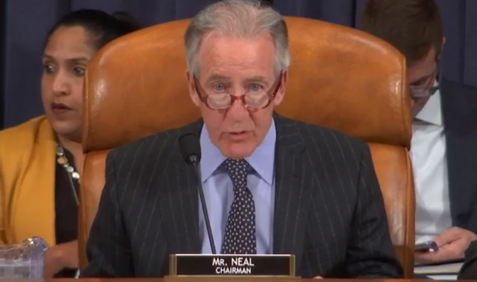 Committee Chairman Richard E. Neal began by calling out the continued bifurcation of wage growth—“in truth, we have two economies”—and explaining the opportunities missed by the new tax law to provide a check on growing inequality. 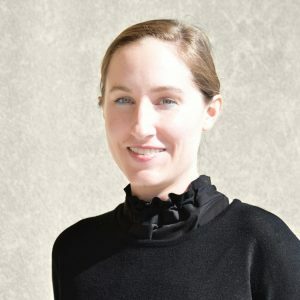 The Economic Policy Institute’s Elise Gould, a hearing witness, noted that incomes of the top 1 percent have grown five times as fast as the bottom 90 percent of incomes since 1979, and this growing inequity is an obstacle to improving the lives of working families. 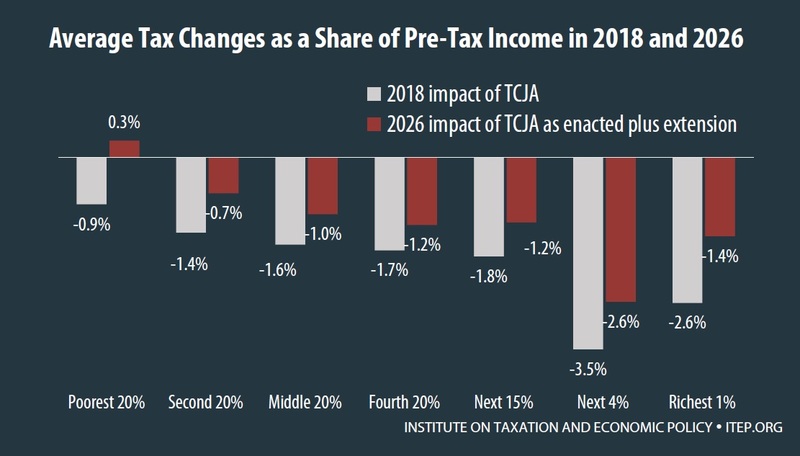 According to UCLA Professor Jason Oh, the TCJA will exacerbate the gap in post-tax income growth in 2019 by providing a higher proportional increase in post-tax income to the wealthiest households (those with incomes over $1,000,000), as compared to working households bringing in less than $50,000 annually. A Joint Committee on Taxation (JCT) report released ahead of the hearing confirmed the distributional impacts of the tax law, many of which have been previously documented by ITEP, including the benefits of a steep reduction in the corporate tax rate and tax breaks for pass-through businesses for the wealthiest Americans. The JCT report is a reminder of the huge influence of timing in evaluating the tax law’s distributional impacts. The expiration of various provisions of the TCJA during the 10-year window means that impacts on families across the income spectrum vary over time. For example, one of the most significant business tax breaks included in the law, which allows for 100 percent expensing of equipment, disproportionately benefits corporate shareholders and business owners in the near-term but is scheduled to phase down, providing little benefit by 2026. By contrast, the law’s reduction in tax credits for health insurance under the Affordable Care Act will be more impactful in 2026. Proponents of the law propose to make its temporary provisions permanent, but ITEP has found that this would continue the law’s pattern of benefiting the richest taxpayers more than anyone else. The chart below illustrates the average tax changes as a result of the TCJA in 2018 and in 2026 assuming the temporary provisions are extended at least through that year. The temporary provisions include many that help high-income taxpayers almost exclusively, like the cut in the estate tax, the cut in the top income tax rate, and the special deduction for income from businesses that are mostly owned by the wealthy. Policymakers need to improve the lives of working families and address growing inequality. The TCJA is exactly the wrong answer, especially if the revenue forgone by the tax bill is then used to justify cuts in hugely-popular mandatory programs and further undermine funding for education, transportation and environmental protection.